Thu., 13 Jun. - Sun., 30 Jun. Situated in Darlington, this hotel is within 6 mi (10 km) of Darlington Arena, Darlington Civic Theatre, and St Cuthbert Church. Darlington Railway Centre and Museum and Blackwell Grange Golf Club are also within 9 mi (15 km). Teesside Airport Station is 11 minutes by foot. Situated in Darlington, this hotel is within 6 mi (10 km) of Darlington Arena, Darlington Civic Theatre, and St Cuthbert Church. 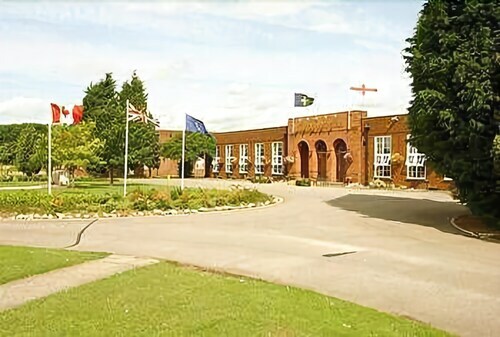 Darlington Railway Centre and Museum and Blackwell Grange Golf Club are also within 9 mi (15 km). Teesside Airport Station is 13 minutes by foot. Situated in Darlington, this hotel is within 6 mi (10 km) of Darlington Arena, Darlington Civic Theatre, and St Cuthbert Church. Preston Park and Butterfly World are also within 9 mi (15 km). Dinsdale Station is 21 minutes by foot. 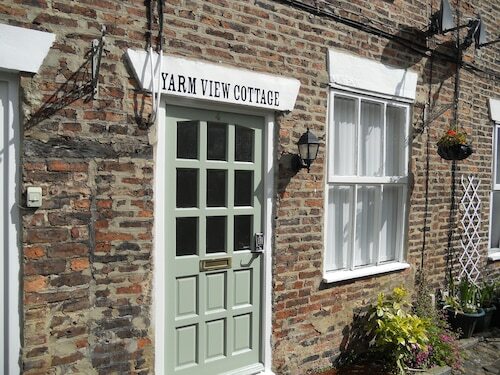 Situated in Yarm, this guesthouse is 1.9 mi (3.1 km) from Preston Park and 2 mi (3.2 km) from Butterfly World. Ropner Park and Wild Animal Adventures are also within 6 mi (10 km). Allens West Station is 23 minutes by foot and Yarm Station is 28 minutes. 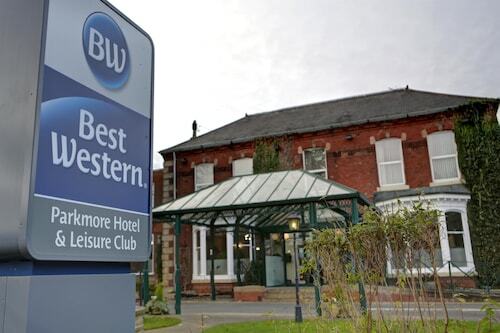 Located in the heart of Stockton-on-Tees, this hotel is within 1 mi (2 km) of Preston Park and Butterfly World. Ropner Park is 2.5 mi (4.1 km) away. Stockton-on-Tees Eaglescliffe Station is 9 minutes by foot and Allens West Station is 13 minutes. Situated in Stockton-on-Tees, this guesthouse is 1.4 mi (2.3 km) from Preston Park and 1.5 mi (2.4 km) from Butterfly World. Ropner Park and University Hospital of North Tees are also within 6 mi (10 km). Allens West Station is 8 minutes by foot and Stockton-on-Tees Eaglescliffe Station is 20 minutes. 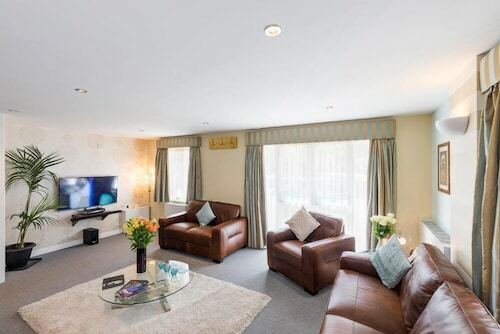 Situated in Yarm, this vacation home is 2.3 mi (3.6 km) from Preston Park and 2.3 mi (3.7 km) from Butterfly World. Ropner Park and Wild Animal Adventures are also within 6 mi (10 km). Yarm Station is 25 minutes by foot and Allens West Station is 29 minutes. Situated in Yarm, this property is 2.2 mi (3.5 km) from Butterfly World and 2.2 mi (3.5 km) from Preston Park. Ropner Park and Wild Animal Adventures are also within 6 mi (10 km). Yarm Station is 24 minutes by foot and Allens West Station is 25 minutes.